According to a recent survey by W3Techs, over 30% of all websites use the WordPress content management system, making it the most-commonly used. It’s easy to see why: WordPress has many benefits: it is relatively simple for users to update, there are many 3rd party plugins to add features and enhance functionality, and, due to the ubiquity of the technology, many developers and users have experience working with the platform. WordPress has even been used by non-professional designers to build simple blogs and theme-based websites. Here are some hints and tips to keep in mind when creating a site on your own. Having a website just because everyone else does is not enough. Your website should serve your business objectives. What do you want the website users to do after they’ve consumed the content on your site? Register for a seminar? Purchase a product online? Visit your restaurant? Be sure to clearly define the end goal of the site and map the journey your audience will take to inspire them to take that action. There are thousands of WordPress themes available for the novice developer. These fully-functioning foundation sites are often beautifully laid-out, professional-photo-heavy, and include some really fun functionality such as parallax scrolling and large-format slideshows. It’s easy to select a theme that looks fantastic when you buy it, but it’s important to consider that the template designer’s use stock photography and dummy content hand-selected to showcase the template’s optimal layout. Once you start adding your own content, the website can quickly stray from the quality of what you purchased. To increase your chances of selecting the right theme for your business, use our Website Planning Guide to plan your content and user flow before even looking at theme designs. Consider the size and orientation of your images, the amount of text, your logo colors and brand image, and the path that users will take to reach key information or actions on your site. Once you have your general site map, review possible themes that will work best with your content and create a short-list of candidates. Select 2 or 3 possible themes and take screenshots of the home page and a secondary page or two. Using a program such as Illustrator or InDesign, you can use the screenshots to create a mockup of your site with your images and text. Pay special attention to text blocks (size and font selection), image size and orientation, and other features such as widgets, slideshows, popups, etc. Creating a mock-up will also allow you to demonstrate your idea to your boss/coworkers/other stakeholders and may just help get your website project approved. Mobile Responsiveness – Does the theme display correctly across all devices? Maintenance/Updates – Create a plan to check for theme and plugin updates and understand possible issues that may arise when updating to the latest versions. E-Commerce – Does your theme work well with your e-commerce platform? Brand Image – Does the website design, user experience, and overall quality reflect your brand image? 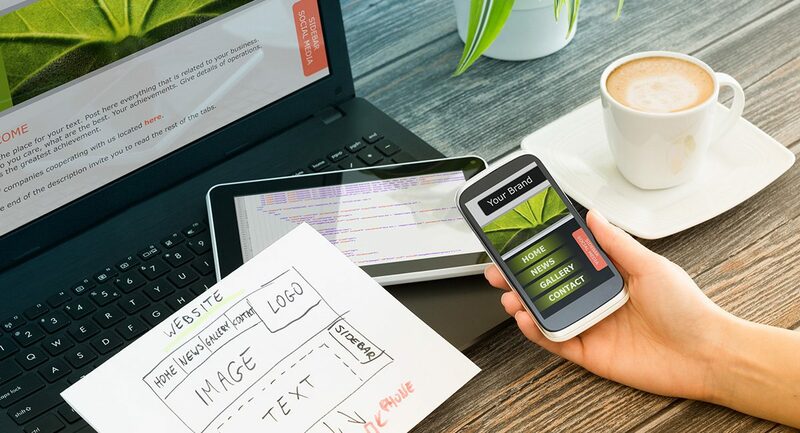 Your industry, brand image, product or service, target audience, website purpose and business objectives, and your skills in design and coding should all factor in to whether or not a DIY site is right for you. In some cases, the time spent researching and troubleshooting takes away from the time entrepreneurs could be spending on product development, business development, and sales. Know the value of your time and perform a cost-benefit analysis on DIY vs outsourcing. See our post “Choosing the Right Web Contractor” for more information.